Paul Gileno, founder and president of the U.S. Pain Foundation, recently addressed in an opinion piece the common ascribed-to culprits of the opioid crisis: overprescribing physician s, Big Pharma and even demanding patients. 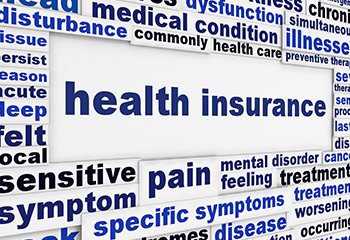 However, he adds to his list of culprits one not usually seen: the health insurance industry, essentially arguing that insurance does not cover many non-pharmaceutical options for pain relief, such as physical therapy, massage, biofeedback and more. The only real option then for people in pain is to seek pain medications, such as opioids, because insurance coverage makes these drugs affordable and accessible, he argues. Further, access to treatment is another issue for people suffering chronic pain as many people can’t drive to appointments because of their pain or live too far from appropriate clinics. Could the health insurance industry do more to cover non-pharmaceutical treatment for pain? Most likely. Indeed, the insurance industry has not kept up with Americans’ demand for alternative medicine. However, while pain management does not fall under the purview of managed behavioral health companies like Beacon Health Options, Beacon and its health plan partners are working hard to address its downstream effect – an opioid epidemic, some of which at least, derives from people suffering chronic pain. On one front, Beacon looks to evidence-based clinical strategies, such as medication-assisted treatment (MAT) or increased availability of naloxone, to treat opioid use disorder (OUD). On a second front, Beacon and its partners are engaged in initiatives that promote access to OUD treatment – out-of-the-box initiatives that an epidemic demands. Some of those initiatives are described below. Expanding access to MAT via alternative payment models: Beacon views MAT as the best-practice approach to opioid withdrawal management versus detox. Consequently, we expand access to MAT and community-based services through value-based purchasing models, such as a bundled payment for MAT that Beacon is doing with one Massachusetts provider partner. Project ECHO: The Project ECHO model reduces gaps in care by increasing provider knowledge and capacity for specialty services. Through videoconferencing, expert teams at the “hubs” conduct virtual clinics with non-specialist community providers to educate them about various health conditions. Beacon’s ECHO program will focus on opioid use disorders, specifically helping practitioners treat more members using MAT. Community support to improve treatment adherence: Most people require six months of continuous treatment before they start to benefit from it. To that end, Beacon works with Community Support Programs to ensure ongoing community-based treatment for people discharged from detox and connects peers with lived experience to members who have OUD. Permanent supportive housing: Beacon partners with the Massachusetts Housing and Shelter Alliance to help fund permanent supportive housing for people with complex medical and behavioral health conditions – including substance use disorder. Known as Community Support Program for People Experiencing Chronic Homelessness, tenants live in leased apartments or shared living arrangements, with access to a wide range of community-based services. Put simply, with a roof over their heads, members are in a better position to address their health – whether it’s an OUD or other physical or behavioral health conditions. It’s true that interventions such as these are reactive, and not proactive in helping to prevent an opioid epidemic in the first place. However, change is afoot. The integration of alternative medicine with conventional medicine is occurring, with health insurance coverage for alternative treatments on the rise. In the meantime, interventions such as those described above are very proactive in treating a condition that continues to wreak havoc in our country – to our families, our children and our workplaces. Until the health care industry can find its way in designing a system that helps to prevent ill health, Beacon and companies like it continue to look to the evidence to support innovative clinical programming.